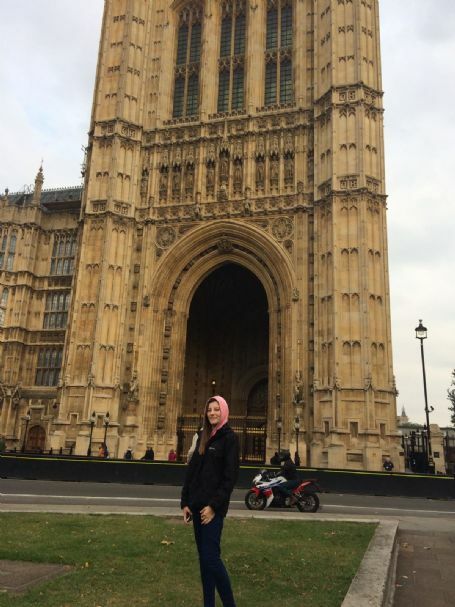 This month, a number of pupils from Years 7-10 were able to visit the capital city, London for an overnight visit. 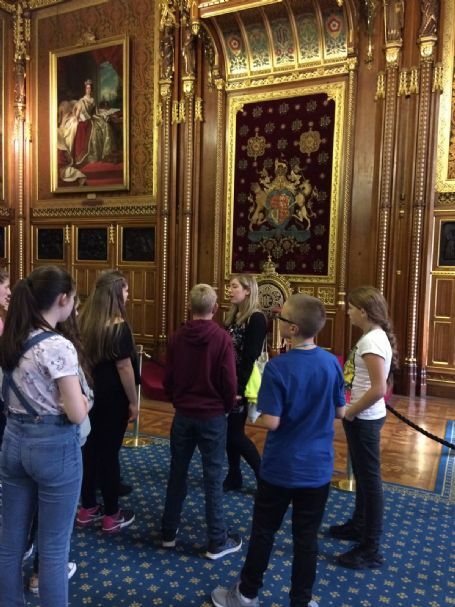 During their trip, pupils had the opportunity to tour the Houses of Parliament, watch a West End musical, go on an open-top Bus tour, and enjoy a meal at the famous Planet Hollywood Restaurant. 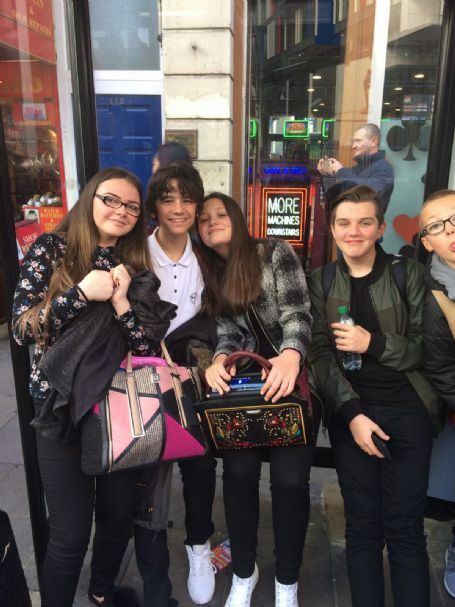 My trip to London on Friday 14th October was my first overnight trip with Savio Salesian College, and it was a really good experience. The price of the trip started at just £125, which was a bargain given everything that we got to do while we were there! The trip started out in the early hours of Friday morning, as the Virgin Trains Pendolino waited for us at Liverpool Lime Street. 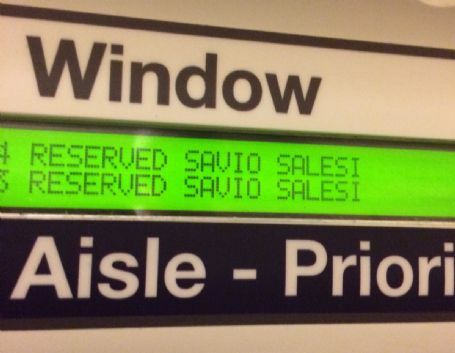 This is the first time I’d ever been on a Virgin Train, so I was looking forward to the journey. The train seats were pretty comfortable, even for Standard class. The on-board shop was pretty good (although it had some pricey items for sale, for example, a 500ml bottle of Coca Cola would have cost you £1.60). Once we arrived at London Euston, we were met by Fr Gerry O’Shaughnessy (an old friend of Savio Salesian College), who acted as our tour guide for the day. The train journeys that day did not end, as we travelled on the London Underground to Victoria Station, which was fast (but not as fast as the Virgin Train). 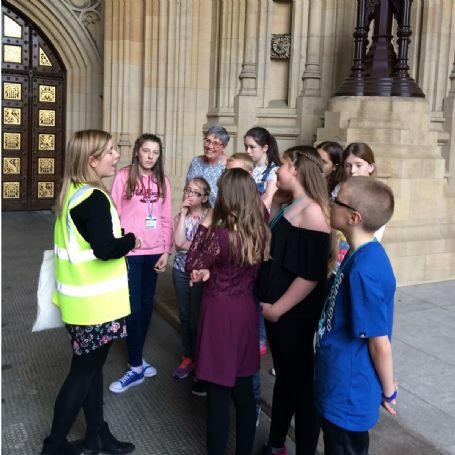 We then got a public bus to the Salesian House to drop our luggage off, and headed back on the bus and Underground to Westminster, our first activity of the day. After touring the Houses of Parliament, we headed off to Planet Hollywood for an American two-course meal surrounded by TV’s showing a welcome message, the latest trailers and music videos. We then left for the Cambridge Theatre to see the West End production of Matilda (having had a quick stop at M&M World). It was great! By 11:30pm we were back at Salesian House to get some much needed sleep. The next morning, we all woke up excitedly for our final attraction of the trip: the open-top Bus Tour of London. We got the opportunity to see the many sights of London, which ended at Euston Station where we got the Virgin Train back to Liverpool Lime Street. I can’t believe we were able to do so much in 36 hours. Thank you to Mrs Murphy for planning the trip, and Mrs Chandler, Mrs Triggs and Mr McCormick for taking our pupils on an experience they will never forget! Click HERE to view our photo gallery from the visit.